Successful Information Governance enables organizations to take control of their information, ensure compliance, reduce costs, and ultimately achieve greater profitability. Watch the webinar on demand, Real Customer Successes: Business Transformation through Information Governance, to hear expert insights on how real-world customers have successfully leveraged Information Governance programs. The cloud has changed from an option to a business imperative. What used to be considered a potential option for controlling budgets has become a strategic direction that drives competitive positioning, product innovation, business agility, and cost management. Discover why organizations are looking to the OpenText Cloud to provide the agility to accelerate their organizations. Whether you need a hybrid model, subscription services, private or public solution, the OpenText Cloud offers flexibility. According to Gartner, 60 percent of organizations plan to increase their cloud investments over the next two to five years. This migration stems from the power that the cloud can bring to business. Leading organizations are realizing how enterprise cloud services can help them simplify their business and stay competitive, agile, and innovative. Learn why over 60,000 customers trust the OpenText Cloud to manage their critical business processes, taking advantage of the benefits of a cloud infrastructure while ensuring their information is governed and compliant. It's easy to ensure compliance and boost efficiency with SAP data and document archiving. Regardless if paper, email or office document, all business documents are securely archived and attached to SAP transactions and processes. Your business content can be stored in any format, guaranteeing long-term access and full readability. Together, OpenText and SAP allow users to access all business documents regardless of time or where they are in the world. The cloud empowers organizations to move information quickly anywhere in the world, to anyone, enabling new business models and driving agility and new opportunities. To stay competitive, leading organizations are looking to the OpenText Cloud: a global cloud built to run the applications that OpenText brings to market. If you’re not engaging your customers, you could be losing them. Last year alone, 66 percent of global customers switched service providers due to poor customer experience—up 4 percent from the previous year, according to Accenture. They estimate that this “switching economy” puts $5.9 trillion up for grabs globally every year. That’s a large sum to leave up to chance! Register for the virtual roundtable, Expert Speed Round: 7 CEM Trends in 40 Minutes, to hear experts discuss Walters’s observations and answer pressing questions around how to succeed in Customer Experience Management. Best-in-class companies are gaining a competitive edge by going digital with Customer Communications Management (CCM) and creating a more interactive experience. With a strong digital CCM strategy, you can improve efficiency and service, increase customer loyalty and revenue, and ensure accuracy, compliance and brand consistency, across all communications. View the replay of the webinar to learn the key steps to transforming your communications to a digital customer journey, making every interaction more personal and efficient. Guest speaker, Forrester analyst Craig Le Clair and OpenText product marketing director, Jonathan Agger, will discuss the challenges companies face and how to overcome them by taking your customer experiences from multi-channel to omni-channel. According to Gartner, 60 percent of organizations plan to increase their cloud investments over the next two to five years. This migration stems from the power that cloud can bring to business. Leading organizations are realizing how enterprise cloud services can help them simplify their business and stay competitive, agile, and innovative. OpenText Cloud is the world's leading business network that is trusted by more than 60,000 customers to drive over $6.5 trillion in commerce annually. OpenText Cloud is a purpose-built cloud environment for enterprise information management solutions that is supported by a global, scalable, and secure infrastructure. OpenText Content Suite 10.5 helps you tap into the opportunities in your information, while ensuring your system is compliant and reducing the total cost of ownership. The latest edition of Content Suite comes with over 600 new user-requested features. 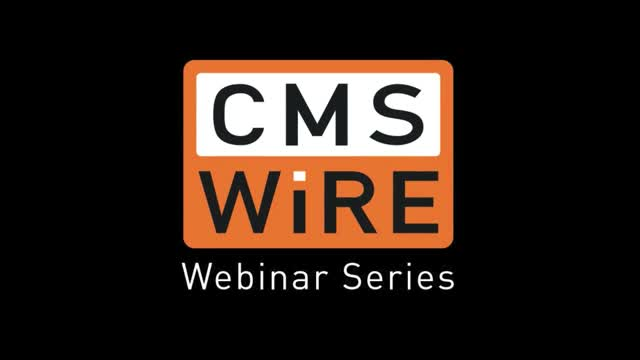 Watch the webinar on demand, Content Suite 10.5 Innovations, to learn about the latest iteration of Content Suite and how it supports comprehensive information governance. According to Aberdeen, 50% of businesses say managing consistent customer experiences continues to be a top challenge. Today’s buyers demand higher levels of personalization with each interaction they have with a company. Customer Communications Management (CCM) can help personalize communications by capturing customer requirements on-the-go. To keep up with soaring volumes of information, A strong Information Governance program is no longer a nice-to-have: It’s a must have. View Part 1 in the information governance webinar series, 5 Top Trends in Information Governance, to hear expert insights into the current state of information management, including investment priorities, technology adoption trends, and the top challenges facing enterprise decision-makers. Join guest speaker Forrester analyst Cheryl McKinnon and Liz Kofsky from OpenText as they discuss the findings from Forrester’s latest recent research in records management, information governance, enterprise content management (ECM) and archiving trends. An overview of how businesses can gain visibility into B2B transactions to speed decision-making, respond to changing customer and market demands, and optimize business processes. LearnFlex Learning Management Solution (LMS) enables your organization to create and share knowledge in a simple, automated, and integrated way. LearnFlex makes the process of automating, tracking, managing, and reporting on all aspects of your enterprise-level learning initiatives easier—all while demonstrating a clear return on investment. Email exchange is the biggest source of content production in any enterprise and its management is usually left in the hands of the senders and receivers as to what to save, archive, or delete. From an IT perspective operating this way is unsustainable as email volumes continue to grow. OpenText eDOCS experts explain how integrating email with your eDOCS content repository will speed up your discovery process and ease the burden on your IT resources. Two thirds of B2B companies Forrester surveyed said the way they interact with customers has fundamentally changed as a result of B2C. The majority of B2B customers are using mobile devices to research and buy products online. Do you have a strategy for this? Streamline your portal content management processes for SAP Enterprise Portal. With SAP Portal Content Management by OpenText, you can efficiently access and manage content while working within the SAP Enterprise Portal component. Benefit from better content creation, data governance, and storage processes. Rationalize your portal content management efforts by leveraging automated workflows and collaboration tools and increase your employee productivity. You can mitigate risk and enhance data governance thru capabilities such as version control and audit trails. This webinar will explain the new features that are available in the eDOCS DM10 release and how they provide a superior user experience, productivity improvements, enhanced search functions and ease of administration. This webinar will offer an in-depth overview covering all the latest Sharepoint integration methods we offer when it comes to Sharepoint Web Parts, content integration features, introduction to version 10 “App Parts” for Sharepoint 2013 which enhance the search, browse, access and management features of the combined solution with eDOCS. OpenText ROM (XOMS) - SAP external Output Management Solution enhances the native output capabilities of SAP by off-loading print spooling, device management, and report distribution; extending your organizations EIM value proposition and strategy. As Canada’s largest software company, and the most valuable Canadian company on the Nasdaq exchange, OpenText manages important and business critical information through its software, solutions and leading business cloud network. OpenText solutions can be deployed on premises or as Managed Services, PAAS / SAAS, or multi-tenant services in the cloud. OpenText’s EIM platform enables organizations to discover and manage information to spur growth and innovation across their organization, increasing time to competitive advantage. Consisting of five comprehensive and integrated product suites, OpenText EIM provides the foundation for a cohesive information management strategy that leverages existing assets, meets urgent needs and establishes a fast path to the future. For more information about OpenText (NASDAQ: OTEX; TSX: OTC), please visit: www.opentext.com.